We have the honour to address the UN for the second time during our mandate as Bulgarian Youth Delegates and share our experience in engaging youth in the implementation of the 2030 Agenda for Sustainable Development and promoting social development for all. We are proud that Bulgaria has included youth empowerment and participation as one of the four main priorities on the political agenda during the current first Bulgarian Presidency of the Council of the European Union, setting out ambitious goals related to youth, peace and security and the role of youth in achieving sustainable development for all. Youth engagement in national and global processes has become a tradition for Bulgaria for the last more than ten years since the Youth Delegates Programme was established in 2007. 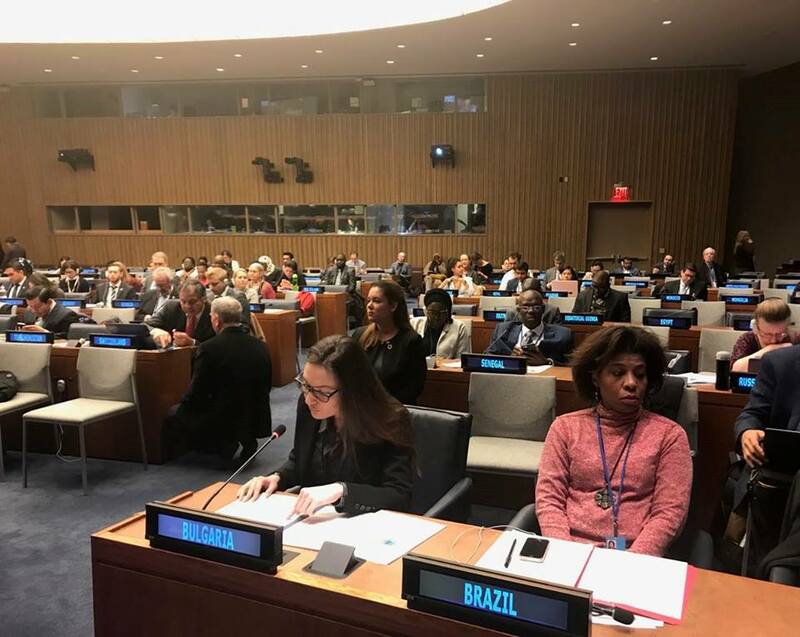 Bulgarian Youth Delegates have contributed greatly in the negotiations leading to the adoption of the 2030 Agenda which for the first time has recognized youth and children as agents of change for sustainable development. Young people have an important role to play in mobilizing their local communities to initiate actions which will contribute to achieving the ambitious and transformative Sustainable Development Goals. 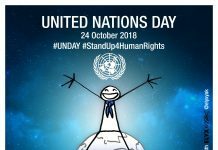 The involvement of young people and other stakeholders is essential for the elimination of poverty and all forms of inequalities and discrimination, and for ensuring prosperity for all. As Bulgarian Youth Delegates to the United Nations we strongly believe that young people should be enabled to act as agents of positive social change and we advocate actively together with our partners from the National Youth Forum of Bulgaria and the European Youth Forum for promoting youth participation at all levels. 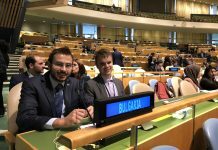 We are consistently raising awareness about the SDGs among Bulgarian youth bringing the global Agenda closer to them which we see as our main mission as Bulgarian Youth Delegates to the UN. I would like to share a concrete example – together with my colleague we are launching a project in Bulgarian Universities to familiarize students with the 2030 Agenda and to encourage the academic community to take concrete action in SDGs implementation. We aim to collect students’ views and experience on topics relevant to them such as the right to quality education, creation of job opportunities, health and well-being and we will forward them to the relevant authorities, organizations and companies for their follow-up and implementation. 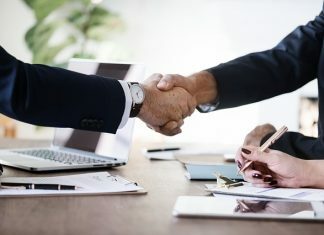 The long-term objective of the project is to empower young people to multiply the knowledge and know-how of SDGs implementation and to become true leaders in their professional and social life contributing to a positive impact on the society. As representatives of Bulgarian Youth to the UN we believe that the empowerment of youth is crucial for delivering on the promise of the 2030 Agenda to leave no one behind by reaching the furthest behind first and ensuring the inclusion of the most vulnerable and marginalized. Young people can contribute to efforts to catalyze social inclusion which will be instrumental for creating sustainable societies for all. Drawing from our own experience and in the spirit of the Agenda we have identified intercultural dialogue and sport as powerful tools for promoting social inclusion and for developing sustainable and resilient societies for all. Sport and intercultural dialogue with their universal nature can bring together young people of different backgrounds and create a safe environment for the whole society. Promoting sports and intercultural dialogue is essential for ensuring equality and mutual understanding and for eliminating all forms of discrimination. In a recent survey we have conducted among Bulgarian youth these two approaches were identified as successful tools for achieving social cohesion by promoting tolerance and respect for human rights. Together with the United Nations Association of Bulgaria and other non-governmental organizations we, as Bulgarian Youth Delegates to the UN, work actively for the inclusion of migrants, refugees and persons with disabilities in society using the methods of intercultural dialogue and sport. We would like to highlight the outcomes of a youth project in Bulgaria of how sport – a football match, brought host communities and refugees together promoting people-to-people contact and communication without prejudice. The project proved in practice that mutual respect and understanding are far more important than cultural, linguistic and religious differences. We reiterate the importance of youth participation at all levels of decision-making for bringing positive social change and creating sustainable societies, and we call upon Member States to ensure the role of young people and include us in all processes.